The U.S. Postal Service has announced that the mail processing center in White River Junction will remain open at least for another two years. 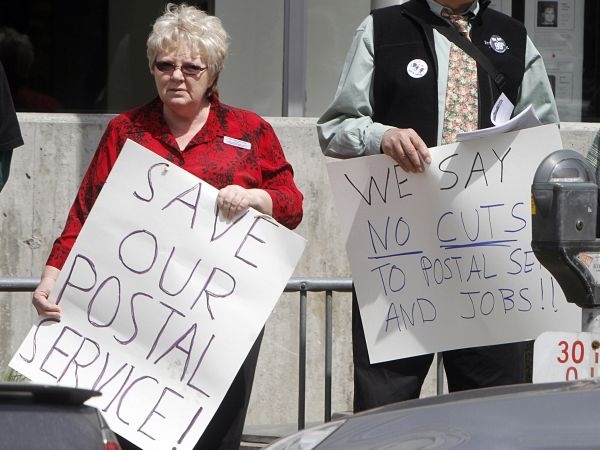 The Center, which employees 245 people, was scheduled to be closed to help address a national Postal Service deficit. In an effort to save $20 billion a year, the Postal Service proposed a drastic plan. Under that approach, 250 mail processing centers, like the one in White River Junction, would be closed, 15,000 rural post offices including more than 100 in Vermont would be shut down, and the delivery of mail on Saturdays would be eliminated. Senator Bernie Sanders has taken an active role in Congress to persuade the Postal Service to implement a different approach. Sanders says it’s critical to understand that the financial problems facing the Postal Service are largely due to a requirement that it prepay health care and pension benefits for its employees. "If you deal with that issue, if you deal with the fact that the Postal Service has overpaid into the Federal Employee retirement system by some $11 billion you go a long way, not entirely, to helping the Postal Service deal with this very serious financial problem," Sanders said. Sanders said he’s fighting efforts to cut services because he’s concerned that the approach will result in fewer customers. "So what we did not want to see, and that’s what the Senate legislation is about, is moving the Postal Service into a death spiral where you cut back services," Sanders said. "And less revenue comes in, and then 5 years from now the Postal Service says ‘gee we’re losing a lot of revenue, we’ve got to cut back even more’, and then you end up with nothing." Vermont’s Commerce Secretary, Lawrence Miller, said it’s important to save the 245 jobs in White River Junction and he said the closing of that facility would have had a rippling effect on the state’s business community. "First class standard service right now in Vermont is next day and it would have taken us to a service standard of 3 or 4 days which would be extremely disrupting," Miller said. "So this is not just priority mail this would be normal checks and invoices and correspondence that we rely on," he added. Under a bill passed by the Senate, most rural post offices will remain open but with fewer hours. Miller said it’s critical to maintain these facilities. "Some hours constraint will be challenging for some people but I think less of a challenge than to have those facilities disappear altogether," he said. The future of rural post offices and Saturday mail service will now be determined through negotiations between the House and the Senate. Senator Bernie Sanders discusses the state of the U.S. Postal Service, keeping rural post offices open and ways the Post Office can innovate to remain relevant.